The Patriots have granted permission to the Browns to interview offensive coordinator Josh McDaniels, the Canton-McKinley High and John Carroll University graduate, for their head coaching vacancy. The Browns asked for permission on Monday to talk to McDaniels, who is expected by far to be the front-runner for the job of the Browns next head coach. McDaniels, 37, has a longstanding relationship with Browns general manager Mike Lombardi and has been a longtime favorite of Browns CEO Joe Banner. They wanted to interview McDaniels for their head coaching vacancy last year, but he wasn’t ready to leave New England yet and uproot his wife and four children again so quickly. 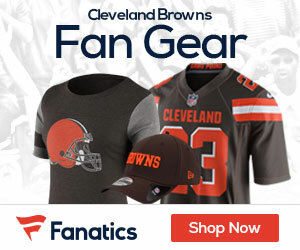 At that time, a league source told cleveland.com that McDaniels would “jump at the chance” to coach the team he grew up rooting for in his home town of Canton, Ohio. The Patriots are on a bye this week, meaning McDaniels can interview immediately.